To see part one of this series, click The Beginning of Our Low-Carb Journey. 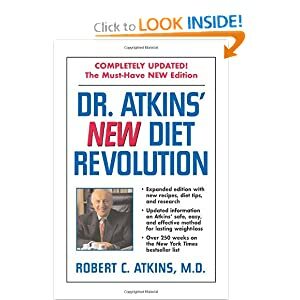 We decided to follow the Atkins plan for the diet, and I decided to try some of the exercise recommendations of Dr. Bernstein — but not all of them. For somebody who is supposedly an expert on diet and exercise, I found him to be remarkably naive about weight lifting, giving some advice that will get you kicked out of most gyms. As I mentioned in the story about gluten, I did not start low-carb immediately, but started a detailed food diary to establish a baseline for a few days. That decision paid enormous dividends later. Georgene went “cold turkey” and felt a bit “under the weather” (so-called “Atkins Flu”) for a few days. I decided that I would adopt low-carb gradually.My initial diet log baseline indicated that I was eating in excess of 400g of carbohydrate daily, so I cut that in half for a couple of days, and then in half again for a few more days, until I got down to about 20g, or what Atkins referred to as “induction level.” One of the things that I cut out about a week into the tapering-off process was all grains, as I mentioned previously. That caused the most remarkable health benefit that I can attribute to the low-carb lifestyle, namely, my mysterious (i.e. “idiopathic”) arthritis suddenly and completely vanished. That alone was enough to motivate me to stick to low-carb permanently. I spoke about that in some detail in the podcast that Georgene and I did with Jimmy Moore on the low-carb cruise. At this point, I had not lost any weight. But I had not gained any, either, which came as a surprise, because I had substituted fat ad libitum for the carbohydrates I was cutting out, and I was eating substantially more calories than I had been in my baseline diet log. I expected at least a short-term gain. Georgene, once she got over the “Atkins Flu” was feeling much better than she remembered feeling in a long time. She even stopped barking at me for mentioning the “E” (exercise) word — shortly after that, we got a gym membership and started weight training together. After about the end of the 2nd week, when I got down to 20g/day, and was turning the Ketostix a nice, deep, purple, I was dropping in excess of a pound a day for a couple of weeks, which tapered off to 2-3 lbs/week after that. The photo in Part I was taken in January of 2000, after we had both lost more than 30 lbs, and our friends were starting to notice the difference. That was also around the time when I got positively giddy and a bit obnoxious about my new-found low-carb lifestyle, and was busy proselytizing to everyone I could get to listen. I joined some Usenet newsgroups on nutrition and low-carb dieting, and became a regular reader and contributor. 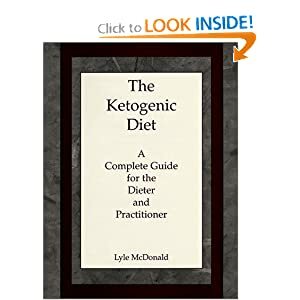 I also read pretty much everything I could find on low-carb, and even slogged my way through the rather hard-to-read The Ketogenic Diet, by Lyle McDonald. About 3 months into the diet, I experienced a really major problem. Fortunately, I remembered reading about just that problem on the low-carb support group, although it was something that supposedly happened only to women. I came down with a severe case of hives. The rash covered most of my body, and itched unbearably. Georgene said that I looked like a giant strawberry. The ladies on the low-carb support group referred to this as “yeast die-off,” and had several recommendations for dealing with it. The first thing I had to do was find something for the itching, and the only thing I could find readily at Wal-Mart was a very expensive lotion called Respite in a small bottle (about $20 for tiny bottle of the stuff). I smeared it all over my body, and after about 30 minutes, I actually got enough relief that I was able to sleep. The hives persisted for about 3 weeks. I went through 3 bottles of Respite in the first week. At $20 a bottle, I started looking for a less expensive alternative. I happened to notice that the 3 active ingredients in the lotion were the same as in Ben-Gay — methyl salicylate, camphor, and menthol, only Ben-Gay had about 10 times the concentration, and a 4-oz tube was about a third of the price of the lotion. Better yet, there was a Wal-Mart store brand muscle rub that cost less than half as much as Ben-Gay. I covered my body liberally with the generic muscle-rub, and it did the trick. Several years later, I learned that I had really lucked out that my hives subsided only about 3 weeks later. Chronic use of muscle rub with methyl salicylate was responsible for death in a young female athlete — and she had only used it on her legs. I had covered more than 80% of my body with the stuff for about 3 weeks (I did learn the hard way to avoid getting any of that stuff in my crotch or armpits!!). That was the worst experience I encountered along the way, and I’m not sure why I was so determined to stay on low-carb that I toughed it out. Possibly it was the realization that the “yeast die-off” was probably a result of nearly a year of antibiotics that I had taken in 1991-1992 for a rectal fistula, which I finally gave in and had surgically corrected after putting up with the constant infection for over 10 months. The lesson learned there was not to take a problem like a rectal fistula to a D.O., but that’s a story for another time. Any rate, a yeast infection in an otherwise mostly-healthy male is rare enough that most doctors don’t believe it can happen, so I did not seek medical help for that, but determined that I would starve the yeast out. Which I finally did. 1999 and 2007 -- yes, that is really the same woman in both photos. Once I got past that horrible case of the hives, I was well on my way to losing over 100 lbs during the next year. Georgene lost about 80 lbs. We both experienced tremendous health improvements. I noticed my night vision improved, my constant indigestion went away, my chronic acne faded away (finally!! ), and we both got to the point where we did not have to shop in the big & tall stores for our clothes. Georgene managed to control her blood sugar well enough that she quit taking first one, then both, of her oral diabetes medications. We both responded quite well to the weight training. For the first time in our lives, we had hope that we would be able to conquer our obesity problem. Unfortunately, we both fell significantly short of our weight-loss goals. In the next part of this story, I will cover our experiences leading up to Georgene’s decision to proceed with weight-loss surgery. This entry was posted in Book Reviews, Diet, Health. Bookmark the permalink.